HONOLULU, Nov. 8, 2018 /PRNewswire/ -- Mana'olana Partners, the ownership entity of the Mandarin Oriental Hotel and Residences, Honolulu established by real estate development firm Salem Partners, has named industry veteran Robert Centra senior vice president, design and construction management for the Mandarin Oriental Hotel and Residences, Honolulu. The iconic 36-story tower is on track to break ground and launch sales in early 2019, ushering in a new era for ultra-luxury in Hawaii and helping to further shape Honolulu's evolving skyline. "Rob is widely respected in the design and construction industry having executed the vision for many of the prolific developments that exist in Honolulu today," said James Ratkovich, managing director of Salem Partners. "We are fortunate to tap into Rob's exceptional talent and expertise to propel our dynamic vision for the Ala Moana district forward." Centra brings more than 30 years of experience in multi-family residential, corporate, office and commercial developments. 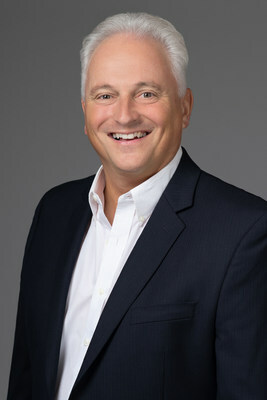 Prior to Mana'olana Partners, he served as senior vice president of design and construction management for The Howard Hughes Corporation, where he led the design and construction for four high-rise residential towers within Ward Village, the company's 60-acre master plan community in Honolulu. A long-time resident of Hawaii, he has held past senior positions with SL Busch & Associates, DMB and Marriott Vacation Club International. Centra holds a Bachelor of Science degree in construction management from Syracuse University. "It is truly an honor to be involved with a project of this magnitude that will positively shape the future of Honolulu and serve as the new nexus of Honolulu," said Mr. Centra. "Salem Partners has enlisted an all-star team of architects and interior designers whom I am thrilled to work alongside as we bring this magnificent project to life." Mandarin Oriental, Honolulu is being conceived by a roster of international designers – including Meyer Davis, Dianna Wong and Hart Howerton – that is unprecedented for Hawaii. Rising 418 feet above Honolulu, the 743,000-square-foot tower will house 125 chic and contemporary guestrooms and suites, designed to reflect the local culture while paying homage to Mandarin Oriental Hotel Group's heritage. Located on the tower's upper floors starting at level 19, a collection of 99 exclusive residences will represent the most distinguished residential offerings available in the world. The development marks the first project to be approved under Honolulu's Ala Moana Transit Oriented Development Plan and will serve as a new face for the city's dynamic and vibrant Ala Moana District, further solidifying Honolulu's position as a world-class cosmopolitan city. Located on one of the most iconic street corners in the state of Hawaii adjacent to the Hawaii Convention Center, Mandarin Oriental, Honolulu will serve as a new gateway to Waikiki and Ala Moana, bringing one of the world's most renowned hotel brands back to the city. Founded in 1997, Salem Partners comprises three platforms: investment banking, real estate development and wealth management. Salem's investment bankers have completed billions of dollars of transactions in the media and entertainment, healthcare and life sciences, aerospace and defense, and real estate industries. Real estate development is headed by industry veterans experienced in all segments of the built environment. Mandarin Oriental Hotel Group is the award-winning owner and operator of some of the world's most luxurious hotels, resorts and residences. Having grown from its Asian roots into a global brand, the Group now operates 31 hotels and eight residences in 21 countries and territories, with each property reflecting the Group's oriental heritage and unique sense of place. Mandarin Oriental has a strong pipeline of hotels and residences under development and is a member of the Jardine Matheson Group.